SUNY Buffalo State students in Robin Harris’ service-learning class, Literacy for Teaching Science, spent the semester working with the Community Academic Center (CAC) to teach lessons in science to neighborhood students of all ages. Harris, an associate professor of science education, said that working with the CAC offers her students an opportunity to connect what they learn in class to the real world. Each student created an inquiry-based science lesson plan for a one-hour science lesson with CAC children. Under Sobcczyk’s guidance, the girl investigated magnet strength, polarity, and other properties. The young girl’s interest was obvious. She proudly reported information she mastered. 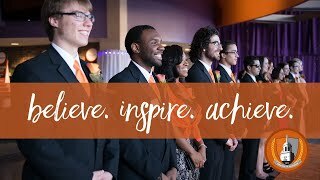 She and Sobczyk learned from each other as they embodied the CAC’s mission to facilitate youth education on Buffalo’s West Side in collaboration with Buffalo State.